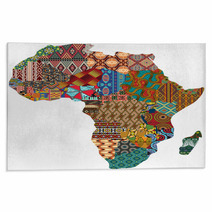 The Abstract Africa Patchwork Traditional Fabric Pattern Vector Map theme is on hand in an assortment of home decor products from murals, to comforters, to round rugs and window curtains, and even custom size backdrops or bath mats. 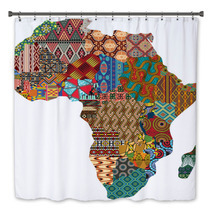 Entire African themed collections are available for your bedroom, bathroom and almost any room in your house. What about a new soft rug for your basement? 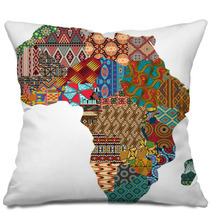 Let us change the main color or any color within this design to ANY shade you desire. We can also digitally add personalized text anywhere within the pattern. Our customization options are pretty much unlimited. 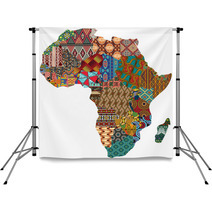 Let us alter the accessory objects or the central object within this particular Abstract Africa Patchwork Traditional Fabric Pattern Vector Map design. 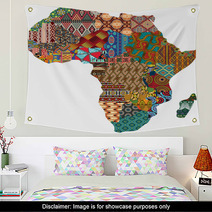 Bedroom decorating with Abstract Africa Patchwork Traditional Fabric Pattern Vector Map bedroom products. 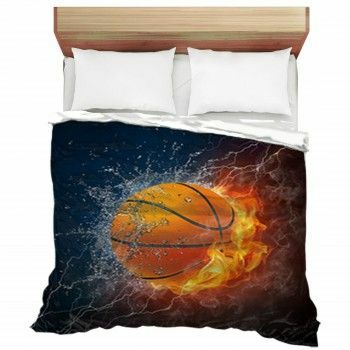 Wouldn't we all wish to be in bed? At 6:00am on a Tuesday, it’s dreadful to think about leaving your cozy covers. You spend so much time wrapped up in your bedding. It is the most comforting item from your head to your toes for a large chunk of your day! When you glimpse at your bed, you don’t ever have an unfavorable thought. 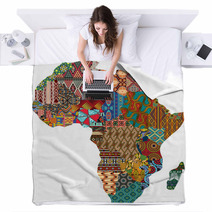 Rather, you tell yourself that you wish to be snuggled up under those comfy layers of bliss, while peeking over your mass of blankets to watch a show. Bedding should create warmth, so use a mix of stacked covers to rerun that amazing feeling of wrapping up to watch tv every time you look at your covers. Don’t be frightened to heighten the appeal by simply layering various colors. 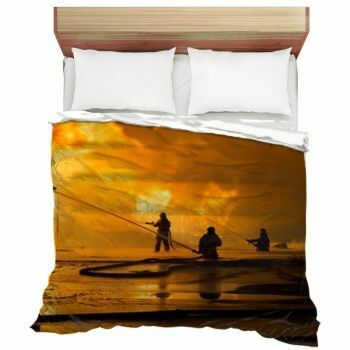 This will make your resting place so much more alluring. 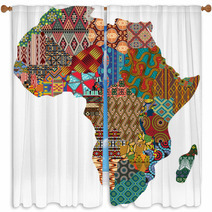 When you decide on bedding, select your favored designs to make your bedroom your personal African themed oasis. This can be different for everyone, so don’t forget to ask your family what they prefer in their bedrooms! After all, a bedroom symbolizes a unique person. 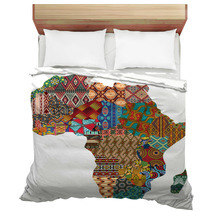 So make sure to mix up your bedding to find the styles you adore. 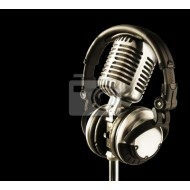 Ensure you possess an equal balance of color and neutrality in your office so as not to overstimulate or bore the eye. 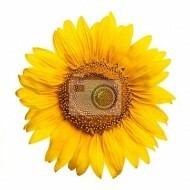 Not enough color and your area will seem drab and stagnant. Too much, and it will come across as harsh and unpleasant. Try to find the appropriate combination of hues for your design to give your area with the most pleasing look.